I was pleasantly surprised this week when I dived into TFS Online to tweak some queries and stumbled upon the new @CurrentIteration token that can be used. This token can potentially solve the administration overhead associated with getting consistent reports out of TFS from sprint to sprint. The new @CurrentIteration token can be used to dynamically work out what the current iteration (sprint) is so that you don’t have to manually update all the queries when the sprint changes. Here’s a post from Microsoft regarding the new @CurrentIteration token when it shipped. This is a great step forward and probably should have been there a long time ago. 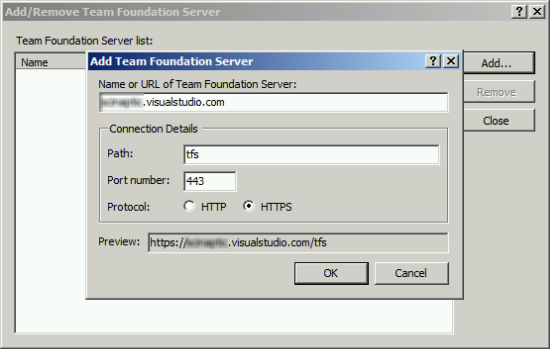 Attempting to “Go Online” with the solution, or disconnect from TFS and reconnect using the same tfspreview.com address will result in a security credentials prompt that accepts your credentials but just sits there blank. BTW trying to login to the tfspreview.com URL in IE also results in this blank page behavior, in Chrome it gives a slightly better redirect error. What Microsoft want you to use instead is the visualstudio.com address instead: https://mycompany.visualstudio.com. 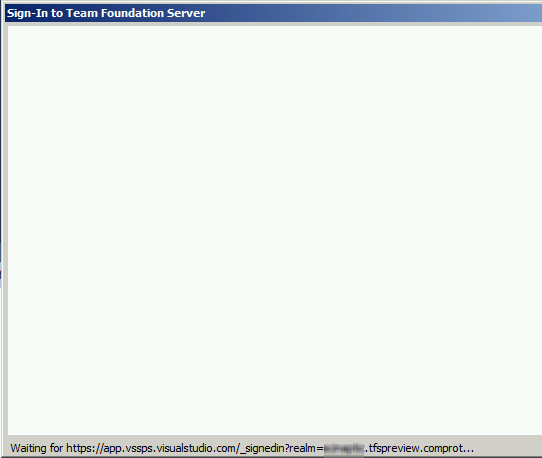 This is simple if you just want to access TFS in a browser. Simply use the new address, but how do you get Visual Studio to start using the new URL to connect for a solution you already have on your dev machine? 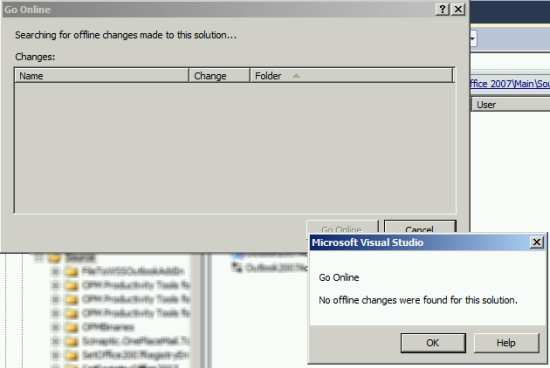 Here’s the process that’s worked for me across Visual Studio 2012 and 2010. 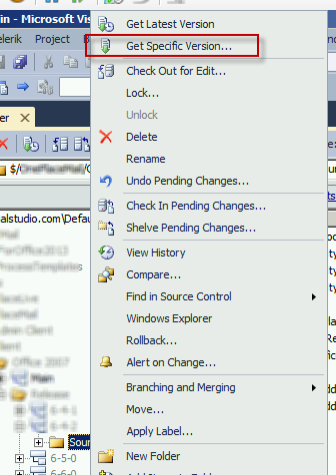 Select the solution folder for the solution you have synced to the local workspace on your development machine. 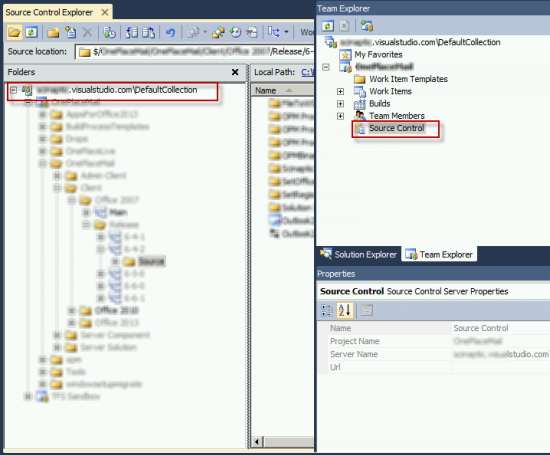 Right click the solution folder and select the Get Specific Version… option from the context menu. 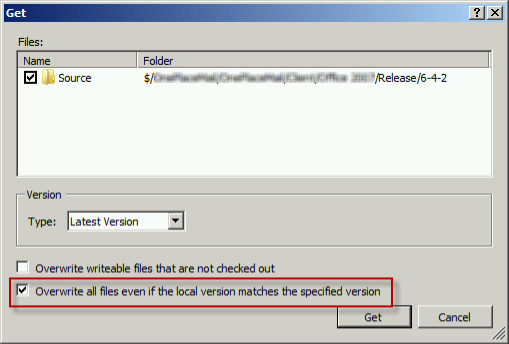 Ensure you check the option to “Overwrite all files even if the local version matches the specified version”. This will effectively pull all files for the solution from TFS again even if there has been no change made to the files. 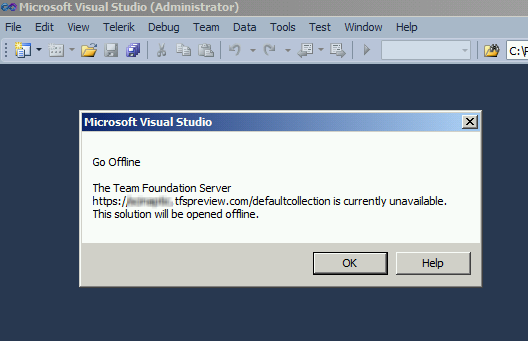 This has the side effect of fixing the binding of the files so that after the sync the files will now be bound to visualstudio.com instead of tfspreview.com. Click Yes, and you will get a dialog letting you know of any offline changes. That should be job done. Your Solution Explorer should now show the TFS icons indicating the source control state of all the files and you’ve now left the tfspreview.com URL behind.